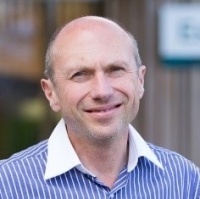 Professor Geoffrey Wood is Dean and Professor of International Business, at Essex Business School. Previously he was Professor of International Business at Warwick Business School, UK. He has authored/co-authored/edited sixteen books (most recently, the Oxford Handbook of Sovereign Wealth Funds), and over one hundred and sixty articles in peer-reviewed journals. Previously he was Professor of International Business at Warwick Business School, UK. He holds honorary positions at Griffith and Monash University in Australia, and Witwatersrand and Nelson Mandela Universities in South Africa. Geoff’s research interests centre on the relationship between institutional setting, corporate governance, firm finance, and firm level work and employment relations. Geoffrey Wood is Editor in Chief of the British Journal of Management, the Official Journal of the British Academy of Management (BAM). He also serves on the BAM Council. He is also Co-Editor of the Annals of Corporate Governance and Associate Editor of Academy of Management Perspectives. He is also editor of the Chartered ABS Journal Ranking list. He has had numerous research grants, including funding councils (e.g. ESRC), government departments (e.g. US Department of Labour; UK Department of Works and Pensions), charities (e.g. Nuffield Foundation), the labour movement (e.g. the ITF) and the European Union.